In order to fully evaluate the results of tests carried out under the current ETCI and CENELEC requirements it is necessary to be able to establish both phase to phase and phase to earth faults at any point in an installation, right down to the final sub circuit. 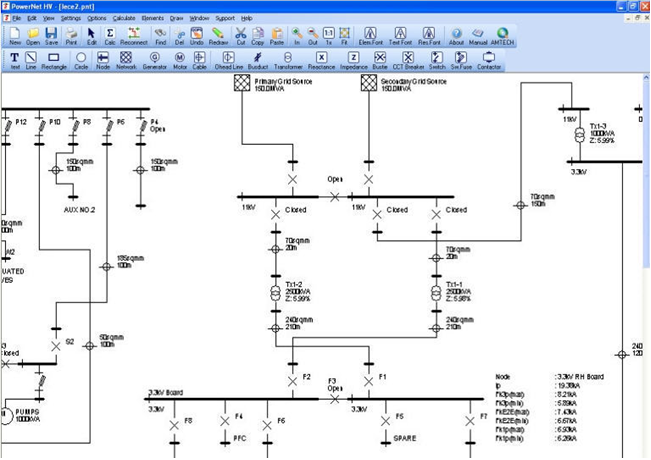 In order to provide this, O'Hara Engineering Services Ltd use Amtech Power-Net and Protect software. 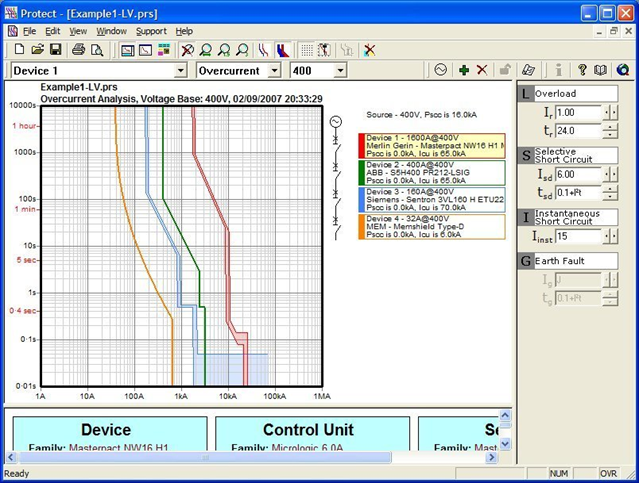 Calculates Current & Voltage Distribution throughout the network during a fault. Any Voltage can be entered. Voltages are automatically assigned to elements from the nodes to which they are connected. Supports 50Hz or 60Hz frequencies. Database of resistance, reactance & zero impedance of cables is included. Peak, Max & Min 3 Phase, 2 Phase to Earth Short Circuits can all be calculated. Generators- In Standby or Synchronous Mode. Transformers- Any Voltage Ratio or Rating including Neutral Earthing. Undefined Impedance- To represent any Impedance value. Circuit breakers, Switches, Switch Fuses and Bus-Couplers.